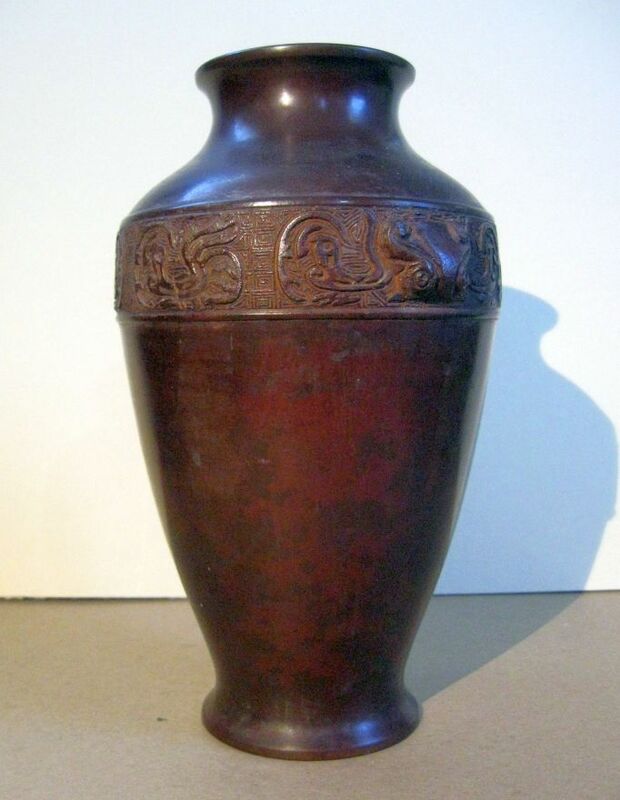 Subject:Chinese purple bronze vase, or what?? What do I have here? 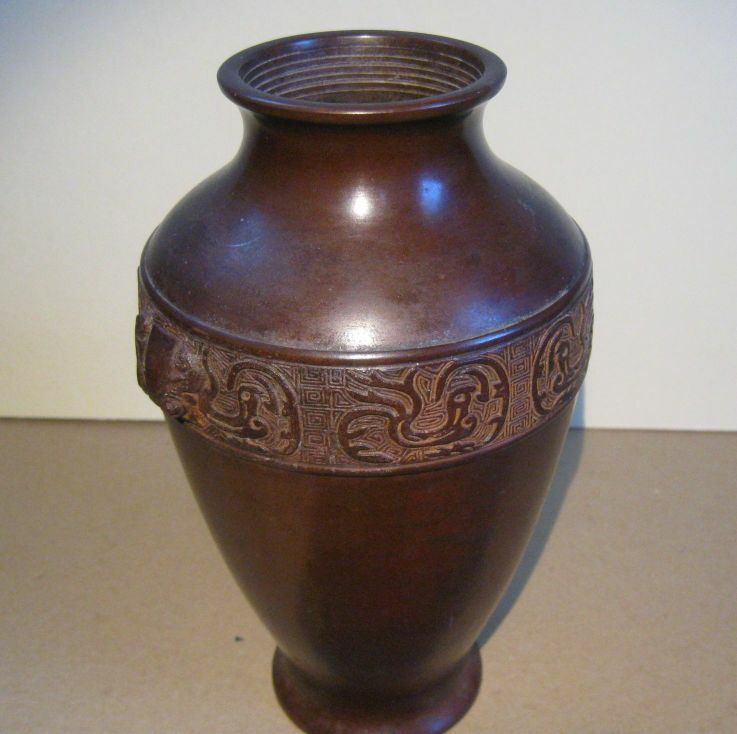 For now, I will call it a purple-bronze Chinese vase, 8.5" tall. But there are no markings anywhere. Looks like a European shape to me, with Chinese motif on the band. 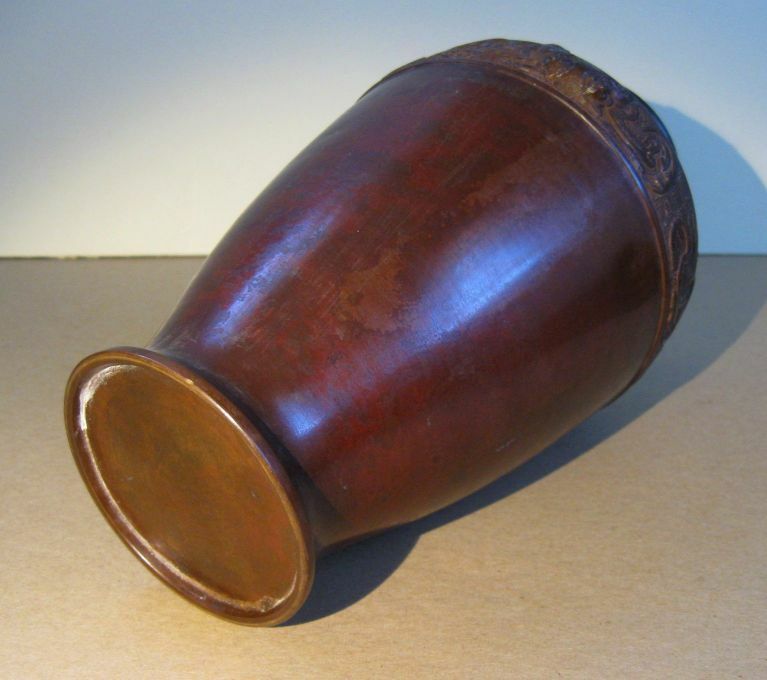 My guess as to age: early 20th C.
But I really do not know.